"Here's a unique way to use one of our most versatile vegetables, the potato." In a medium mixing bowl mix sugar, baking powder, and salt, then add potatoes and butter or margarine; mix well. Gradually add whipping cream and milk, stirring until well blended. Stir in lemon rind, juice, vanilla, and nutmeg. Add beaten eggs and mix well. 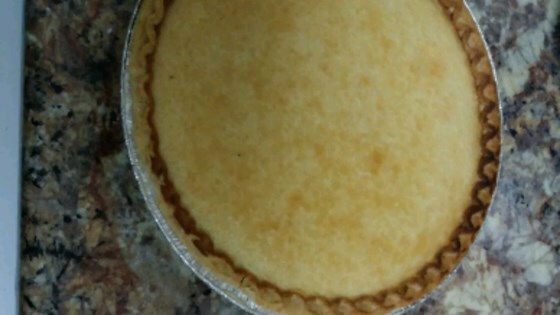 Pour mixture into pie shells and put in preheated oven. Bake for 55 minutes or until knife inserted in center comes out clean. Best when served cold. I tried this recipe and 2 potatoes is NOT enough. it was good but the consitency was terrible and could have been better. I've been using this recipe since 2005, and I still use it! It's a tried and true favorite among my friends and family! This is a different but very good pie. This was quick, easy and quite good. My husband "loved" it. It was the only dessert gone ay Christmas dinner. Now I'm going to make it every year! !